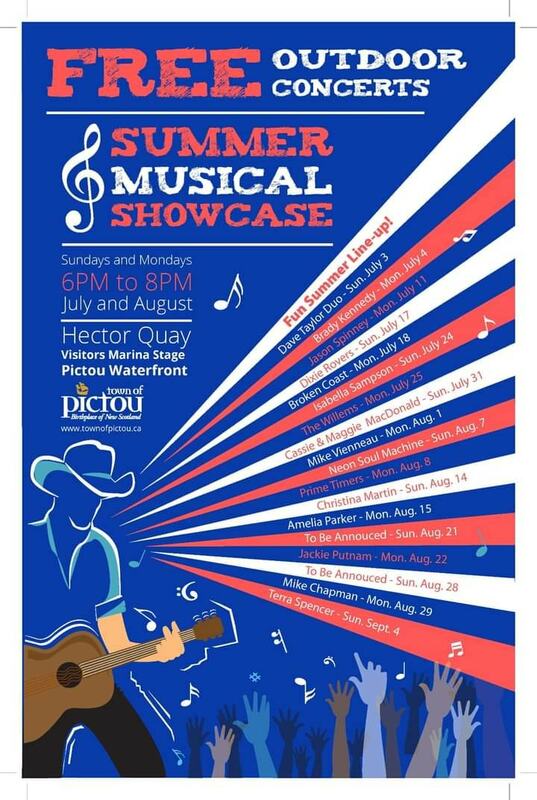 Throughout the months of July and August, every Sunday and Monday evening, 6:00-8:00pm at the marina stage area on the waterfront. A mix of traditional maritime, Celtic, rhythm and blues, rock, and just good ole toe tapping fun! Best of all....all performances are FREE.